we will harvest our first apples in the community orchard? 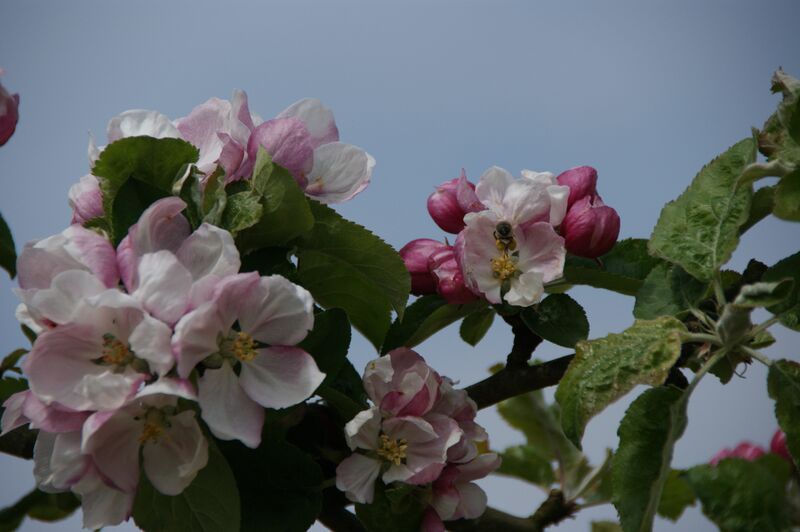 The various old and local variety trees are in blossom and with a bit of luck they won’t suffer the same fate as last year’s when a late frost put pay to our hopes of some long awaited fruit. Unfortunately the blossom was a bit late for the group of volunteers that tidied the orchard and the edge of the fields a couple of weekends ago (ok I admit it – it was 4 weeks ago and I should have posted this ages ago). We were joint by a group of conservation volunteers from Southampton on their annual ‘residential’ visit. They are all oceanographers and their like and choose to spend a weekend clearing up stuff and sleeping on the floor in the Hardman Hoyle Hall – dedication. 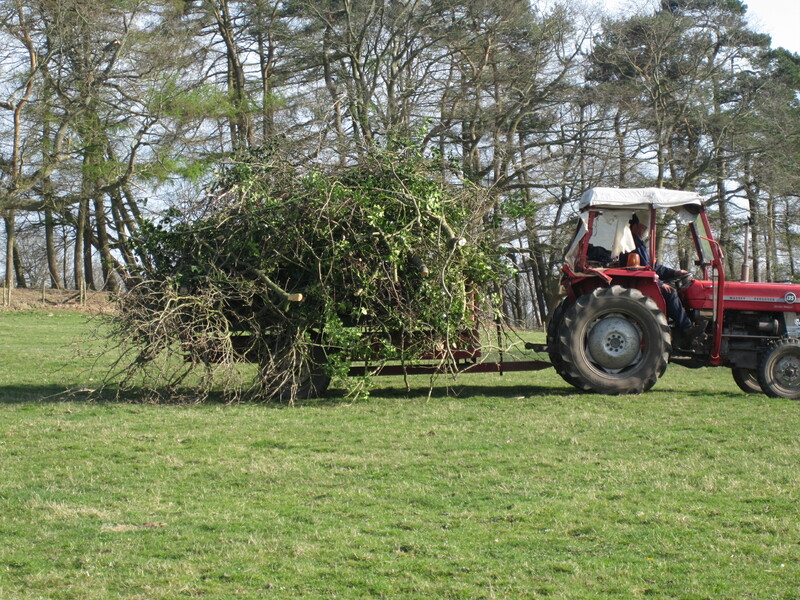 All in all our own volunteers did huge amounts of work – chainsaws were wielded expertly from the back of the trailer to clear overhanging branches along the field edges to enable the tractor to go right up to the edge when cutting the hay this year. We were very lucky with the weather and fun was had by all – as well as a little BBQ. 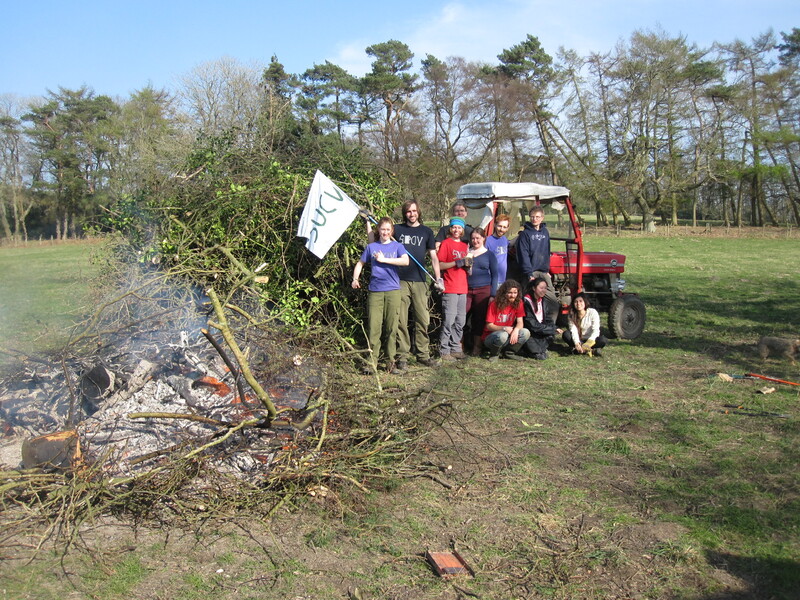 This entry was posted in Uncategorized and tagged BBQ, haymaking, Southampton University Conservation Volunteers, SUCV, volunteers. Bookmark the permalink.